James is a competitive Triathlete having competed in the sport for 27 years. 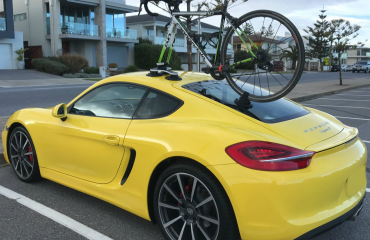 He contacted us looking for a Porsche Cayenne Bike Rack. With the ability to transport two bikes we recommended the SeaSucker Mini Bomber 2-bike rack. Pictured in the photo is one very rare bike. It’s the first ever Zipp 2001 1991 model. Reportedly there were no more than 5 Zipp bikes ever made. 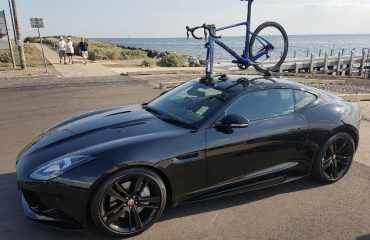 James now has the ability to transport his bikes using just about any car. Within 2 minutes his bikes are loaded and ready to go. Once finished he can remove it in seconds. This is ideal for James as he also has a Ford Mustang. The SeaSucker Mini Bomber is ideal for this car as well. We will feature his Ford Mustang in a future post. The benefit of using a Seasucker Bike Rack means James won’t have to purchase another bike rack when changing cars. 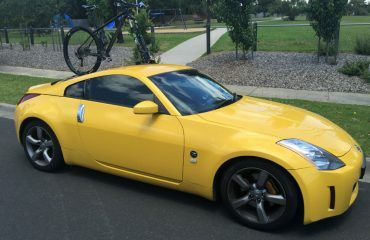 Furthermore not having a permanent bike rack on his car will reduce fuel consumption. The cost of fuel saved means the SeaSucker Mini Bomber will pay for itself in 12 to 18 months. Thanks James for your feedback and sending us your photos. 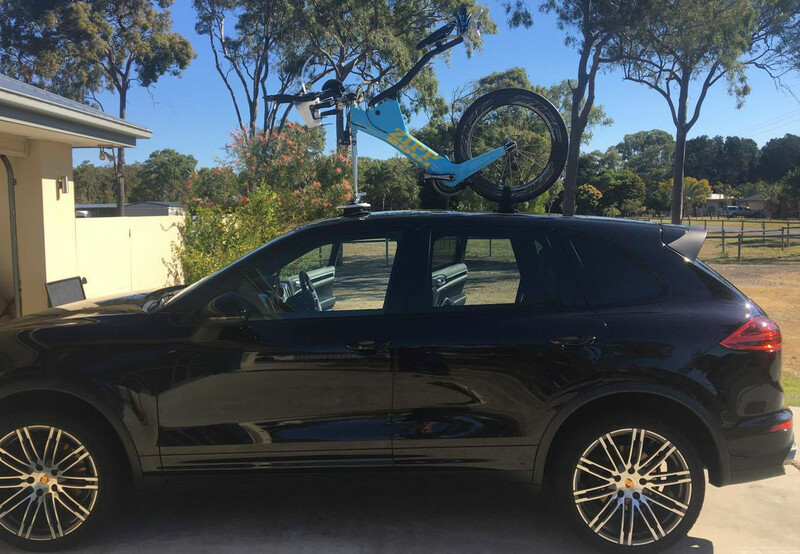 Looking for a bike rack for your Porsche Cayenne?